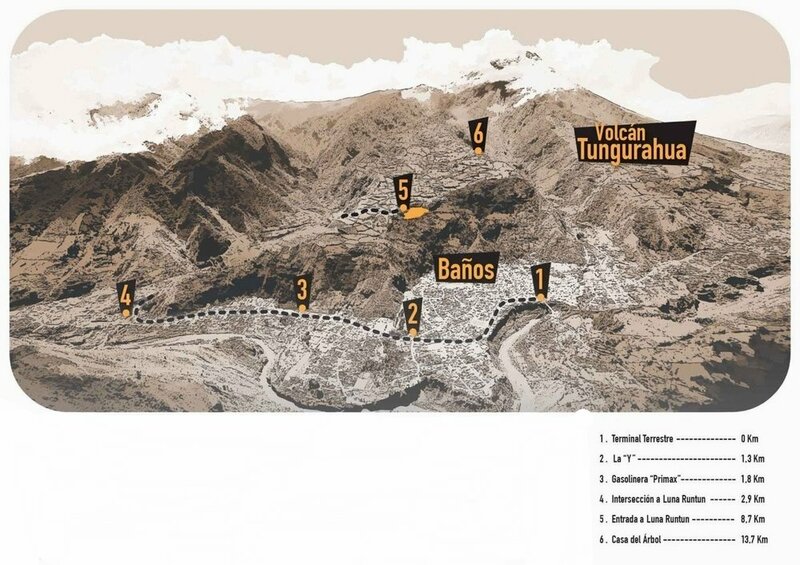 HOW TO GET TO luna volcán? From Baños bus station to Luna Volcán : 13 min. drive / 5,6 miles / 9 km. From Baños bus station follow the road to Puyo 3 km and turn right before Ulba bridge. Follow the signs to Luna Volcán. Drive 6 km from this point. Any car can get, the road is paved. Suggested taxi fare is $5 from anywhere in town. There are 100 taxis in Baños. All of them are safe and know how to get there.